We’re excited to welcome Dr. LaPrade to TCO. He will begin seeing patients in June at TCO’s Eagan & Edina locations. Our team’s goal is to be an international leader in orthopedics and the treatment of complex knee and sports medicine injuries. Patients choose to come to see Dr. LaPrade from across the United States and from around the world because of the recognition of our service’s personalized care and high-level treatment initiatives. Robert F. LaPrade, MD, PhD is a complex knee and orthopaedic sports medicine surgeon. Dr. LaPrade is recognized internationally as one of the top knee surgeons in the world. Often referred to as a “doctor’s doctor,” he has specialized skills and expertise in diagnosing and treating complicated knee injuries and previously failed surgeries. He has treated athletes at all levels, including Olympic, professional (football, ice hockey, soccer, basketball, baseball, lacrosse, track and field, etc. ), semiprofessional and intercollegiate athletes, and has returned many athletes back to full participation, both after treating either their new injuries or previously failed knee surgeries. Dr. LaPrade has special expertise in treating some of the more complex pathologies around the knee, including posterolateral corner injuries, PCL tears, multiligament knee injuries, including knee dislocations, revision ACL reconstructions, meniscal transplants, MCL injuries, osteotomies around the knee (including tibial tubercle osteotomy, proximal tibial osteotomy, distal femoral osteotomy, and closing wedge anterior tibial osteotomy), fresh osteoarticular allografts, articular cartilage resurfacing procedures, complex patellofemoral instabilities (including trochleoplasties), and many other difficult combined and revision surgeries. In particular, Dr. LaPrade has published on almost all these pathologies and has developed anatomic-based reconstruction techniques that are now considered the standard of care both nationally and internationally. Dr. LaPrade is known as a super specialized clinician scientist who has utilized his vast and comprehensive research program on sports medicine injuries to have a bed-to-bedside approach to develop new techniques to improve patient care for those with complex knee problems. Many of the surgeries that he has invented have been performed worldwide and are recognized as the “gold standard” for treatment of many complex knee injuries. As one of the world’s most celebrated complex knee surgeons and clinician scientists, Dr. LaPrade has published more than 475 peer-reviewed scientific manuscripts, has over 17,000 citations, has given over 1000 professional presentations, symposia, grand rounds, and instructional course lectures and has published over 125 book chapters, and has been an Editor on several books. He has also received many awards for his research, including the OREF clinical research award, considered a Nobel Prize of orthopaedics, and his research team has been awarded the AOSSM Excellence in Research Award 3 times since 2009, the Achilles Research Award from ISAKOS 2 times, the Trillat Award from ISAKOS twice, and also the Cabaud Award by the AOSSM 2 times. In addition, he is overall the most published author in the top-cited orthopaedic journal, the American Journal of Sports Medicine (AJSM), with over 150 articles in AJSM alone. He is recognized as a pioneer in knee research with many referrals from international and nationally-recognized physicians due to his successful patient outcomes and his development of more effective anatomic-based surgical techniques for the reconstruction of complex knee injuries. In addition to his outstanding clinical and research work as a clinical scientist, Dr. LaPrade is also recognized internationally as an outstanding teacher. 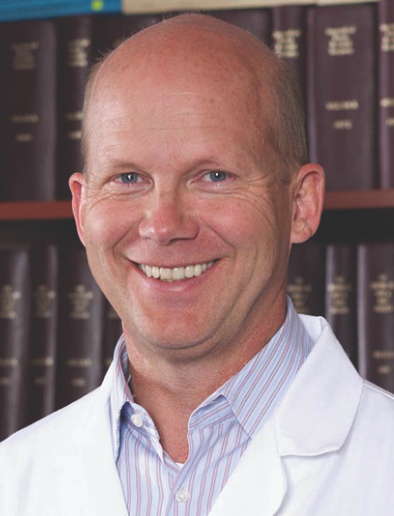 His Minnesota Advanced Complex Knee International Symposium, formerly VICKS, is considered to be the top international complex knee course and he has hosted several hundred sports medicine surgeons from around the world who have observed his practice to learn his clinical exam and surgical techniques. He has also been a course chairman for courses sponsored by the AAOS, AOSSM, AANA, ISAKOS, and ORS, including courses on arthroscopic skill development, biologics, complex knee injuries, knee osteotomies, and early sports specialization. He has also been awarded several outstanding teaching awards from residents and fellows as well as being recognized as a top instructor at many national and international courses. 1993-1994, J. Albert Key Research Award, “The Prevalence of Abnormal MRI Findings in Asymptomatic Knees”, Mid-America Orthopaedic Association, 12th Annual Meeting, Bermuda; Outstanding research paper: “Is Notchplasty Associated With Early Degenerative Arthritis in The Knee?”, Hughston Sports Medicine Foundation Annual Research Day; 3M Excellence in Clinical Research Award, AOSSM 20th Annual Meeting, “Injury Patterns and Their Correlation to Clinical Instability in Posterolateral Knee Injuries”, Palm Desert. Geeslin A. Journal of Bone and Joint Surgery Editor’s Choice Top 10 Articles 2011. “Outcomes of Treatment of Acute Grade III Isolated and Combined Posterolateral Knee Injuries: A Prospective Case Series. LaPrade CM. ISAKOS Achilles Orthopaedic Sports Medicine Research Award. Biomechanical Consequences of a Nonanatomic Posterior Medial Meniscal Root Repair. 2015 ISAKOS Congress June 2015. Van de Velde SK, Kernkamp WA, Hosseini A, LaPrade RF, Ewoud R. van Arkel ER, Li G. In Vivo Elongation of the Anterolateral Ligament and Related Extra-Articular Reconstructions. Dutch Arthroscopy Society. Eikelaar Award. Schon J, Brady A, Moatshe G, Cruz R, Chahla J, Dornan G, Turnbull TL, LaPrade RF. Engebretsen L. Anatomic Anterolateral Ligament Reconstruction of the Knee Leads to Overconstraint at Any Fixation Angle. 2016 Excellence in Research Award. Chahla J, Moatshe G, Engebretsen L, LaPrade RF. Anatomic Double-Bundle Posterior Cruciate Ligament Reconstruction. JBJS Essential Surgical Techniques Editor’s Choice Video Award. Click here to view Dr. LaPrades Research Publications (>475). One research initiative that we have strived to achieve is to develop anatomic-based knee ligament reconstructions. In addition, recognition of the vast importance of the menisci in preventing the development of osteoarthritis has been advanced through improved means to treat meniscal tears and attempt repairs rather than surgical resection. Finally, we share some of the best practices in sports medicine through our Minnesota Advanced Complex Knee International Symposium. Bringing the top clinician scientists from around the world to share their best practices has led to advancements of care over the course of the 6 years of this symposium. While faculty learn from each other to improve care, the attendees also learn from experts to achieve their overall goal of improving patient care through anatomic-based reconstructions. In particular, having many of the world leaders in complex knee pathology in one lecture hall leads to complex discussions and sharing of knowledge which advances care for all patients. In addition, Dr. LaPrade is recognized as one of the best educators internationally. The best and brightest surgeons from around the world come to observe and to learn how to advance patient care in their states and countries through lectures, clinically-based research, and direct observation. Many of the academic works produced collaboratively with international surgeons has led to their academic promotions in their home hospitals. This relationship is very unique and is very sought after by many orthopedic surgeons.